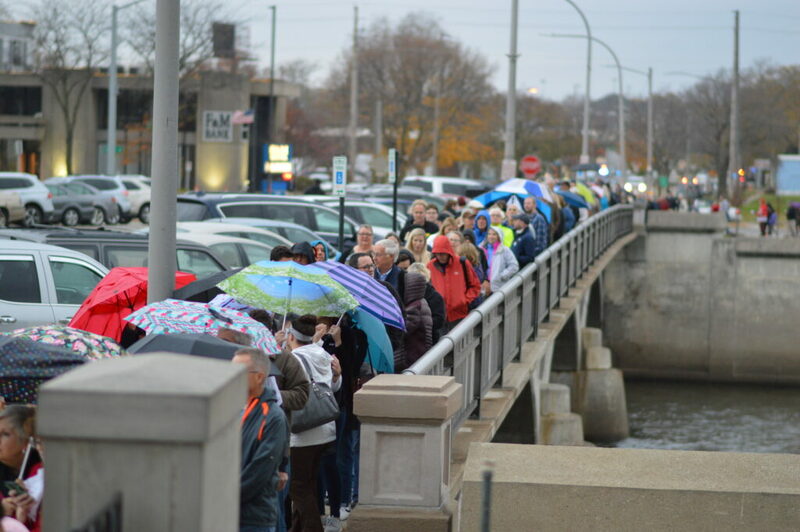 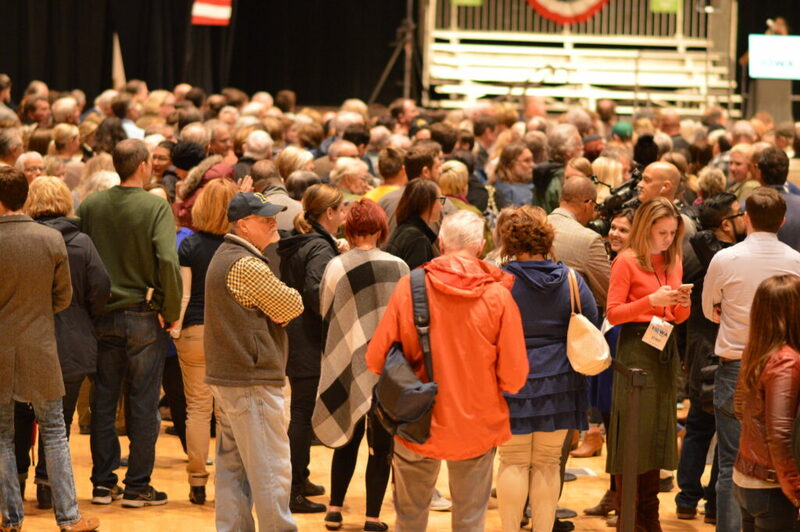 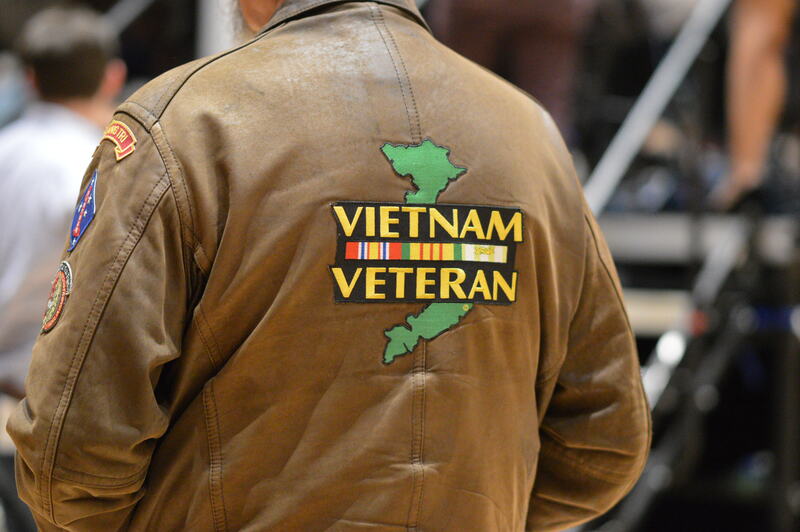 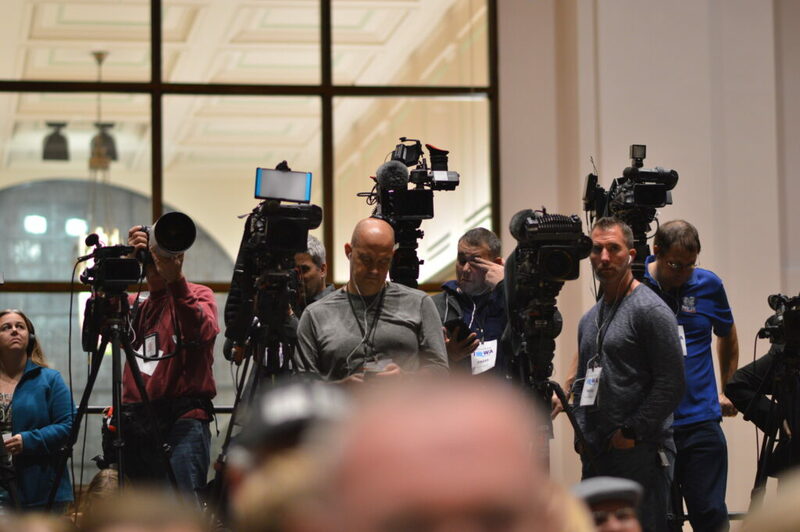 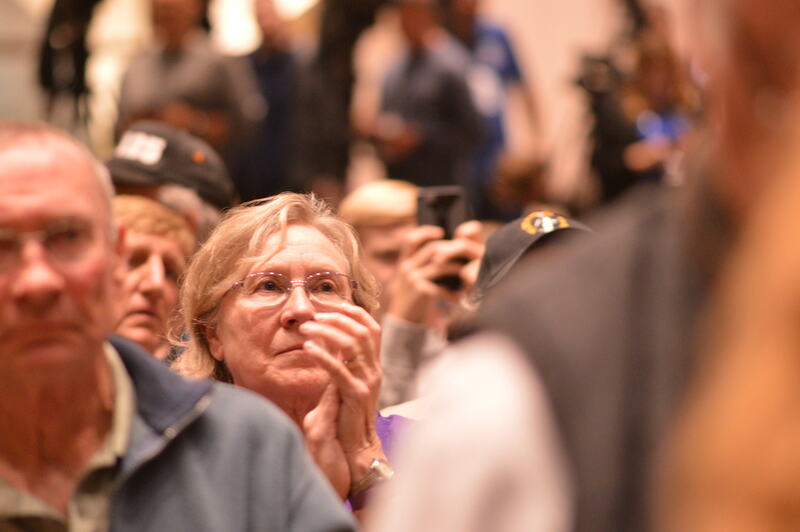 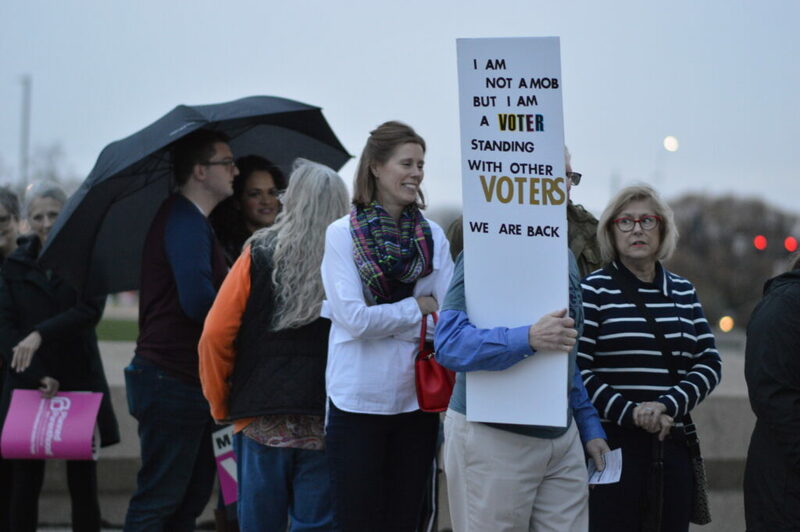 CEDAR RAPIDS – As light rain fell, hundreds of people waited in a line wrapped around the Second Avenue Bridge to hear former Vice President Joe Biden in a campaign rally inside the Veterans Memorial Building. 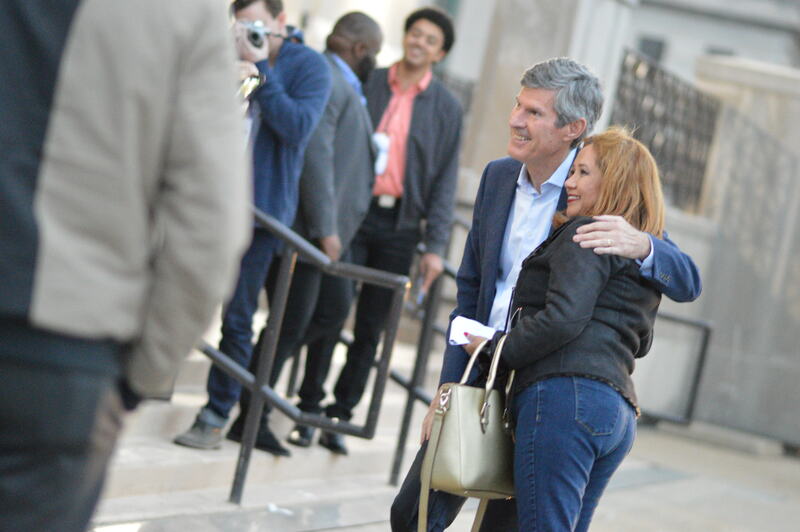 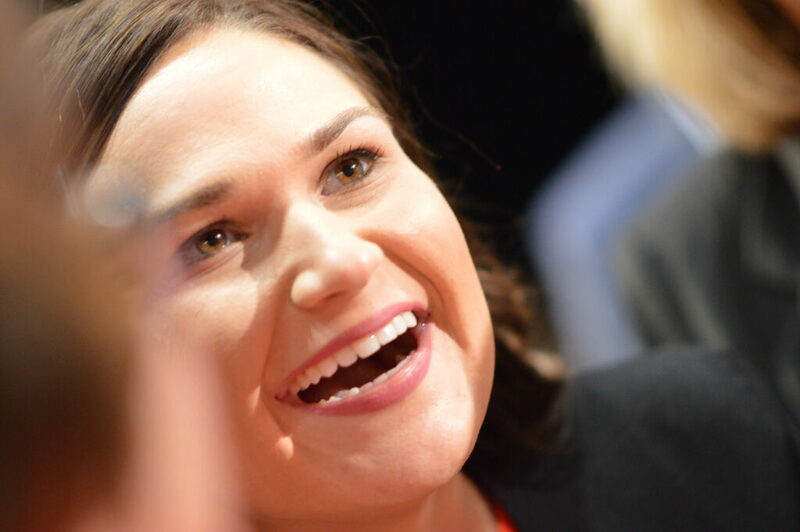 Biden appeared with First District congressional candidate Abby Finkenauer and Democratic candidate for governor Fred Hubbell and running mate Rita Hart, one week before the midterm elections. 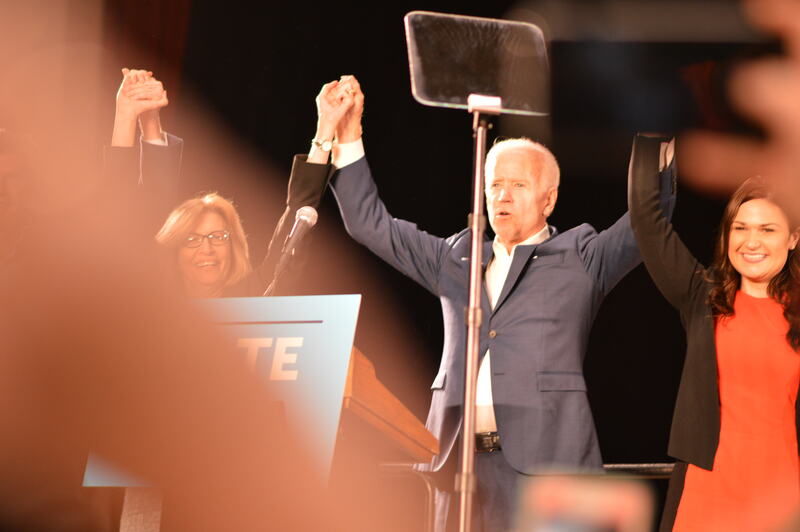 “I’m here because my friend Abby Finkenauer asked me to be here,” Biden said when he took the stage. 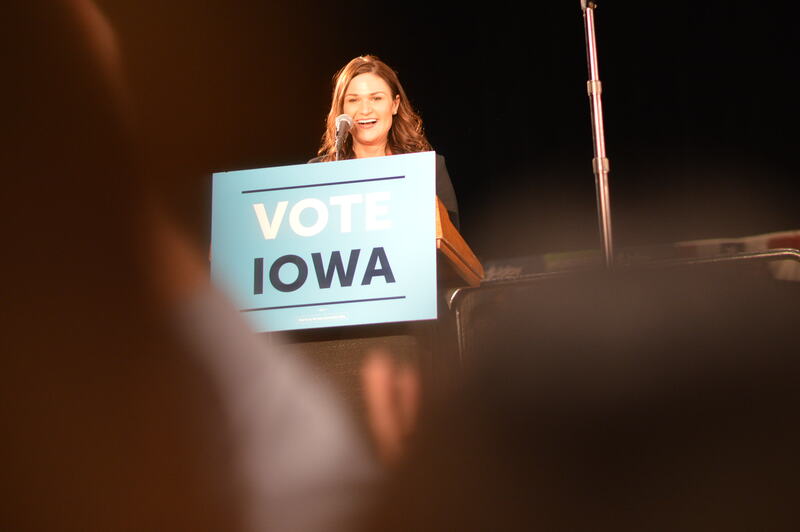 Finkenauer, running against Rep. Rod Blum, had previously been a volunteer coordinator for Biden in Iowa. 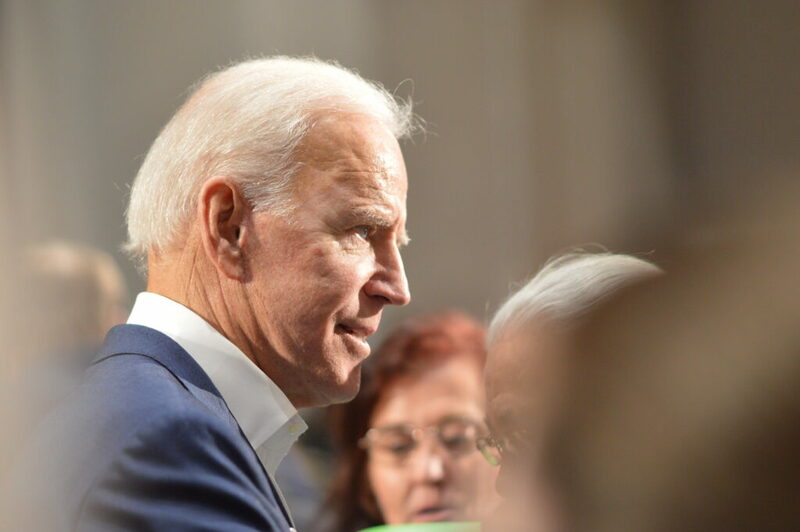 Biden didn’t mention any political aspirations of his own during his 30 minute speech, though he is said to be considering a presidential bid in 2020. 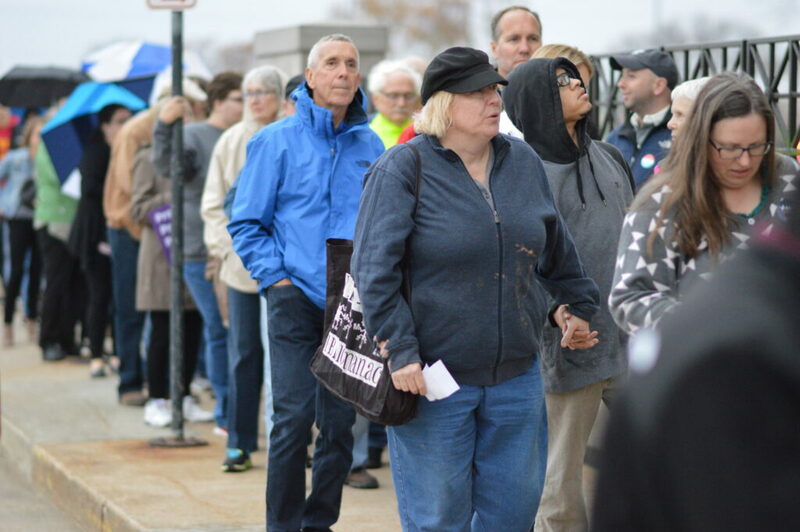 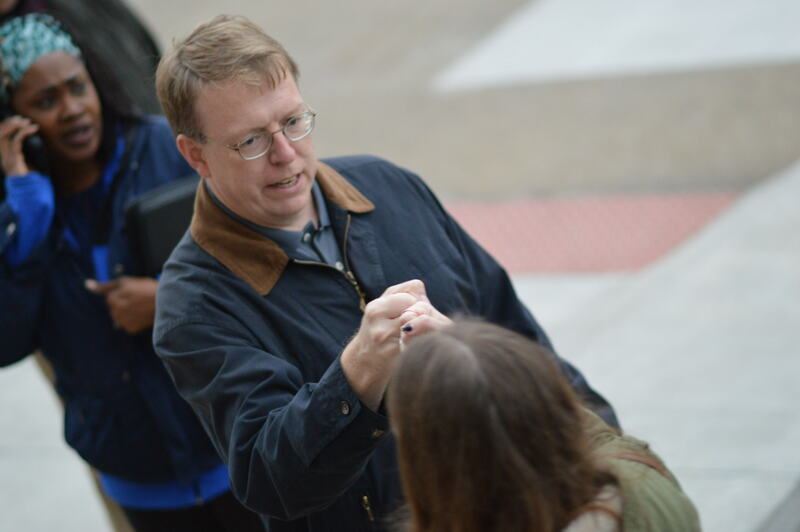 He referenced events of the past week, including the killing of 11 people by a gunman at a Pittsburgh synagogue. 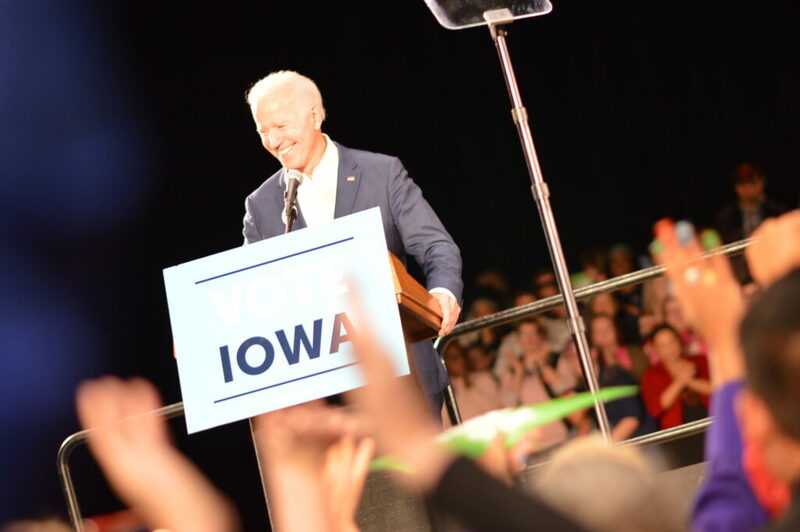 “It’s our leaders who need to set the tone and dial down the temperature,” Biden said. 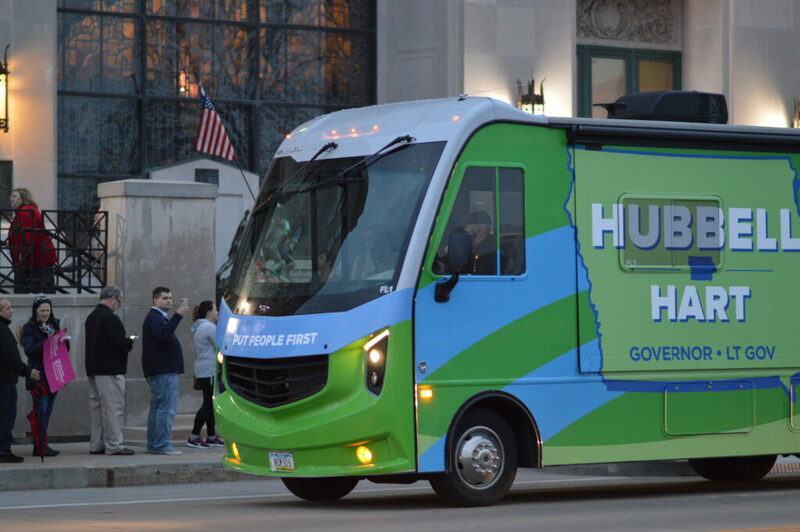 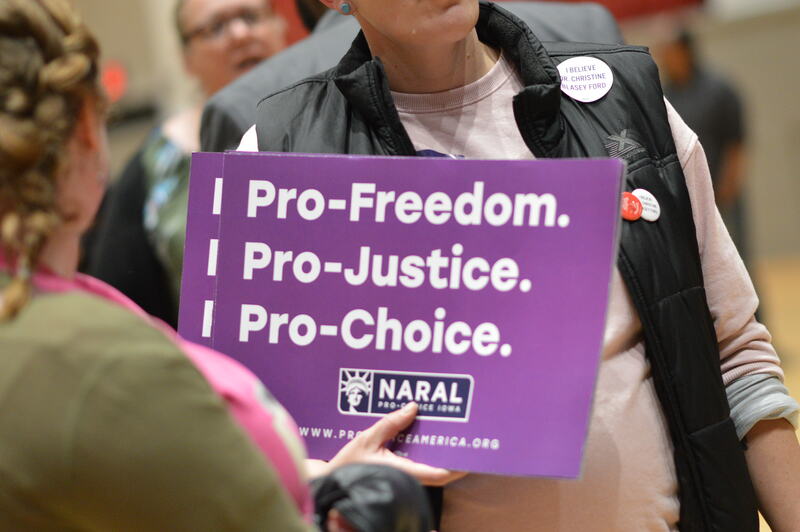 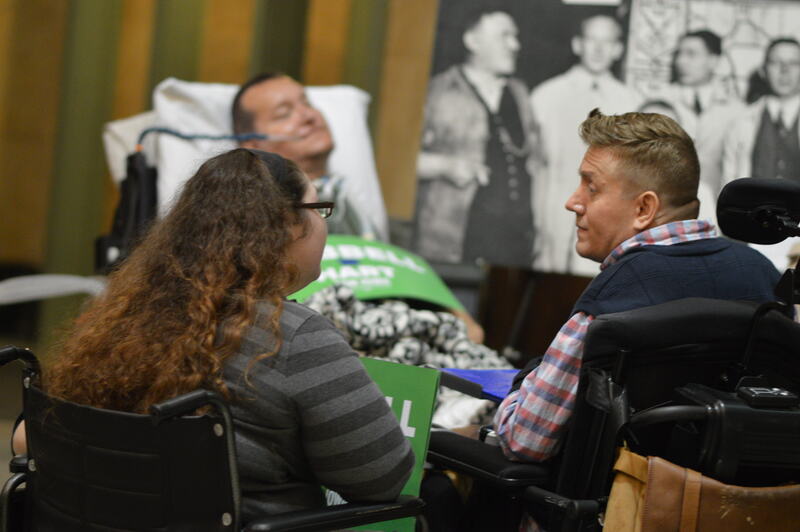 Finkenauer, Hubbell and Hart addressed health care coverage, the privatization of Medicaid, the gutting of collective bargaining in Iowa and mental health needs of Iowans, as well as other direction changes they say are needed in the state. 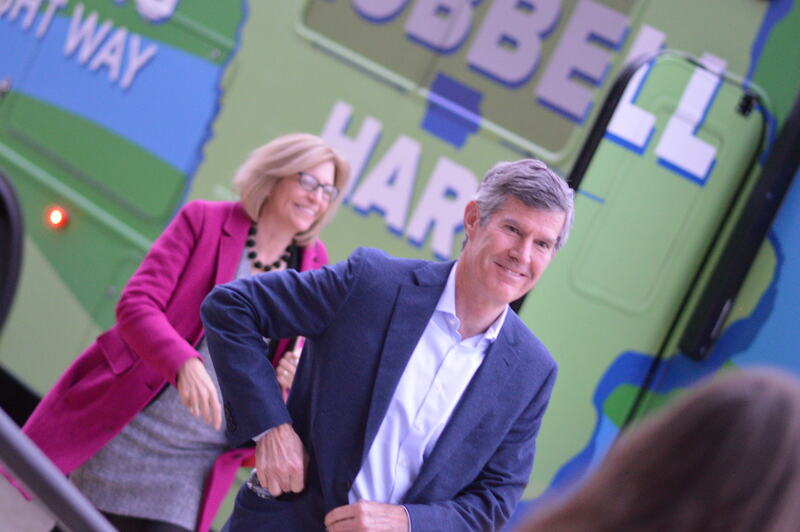 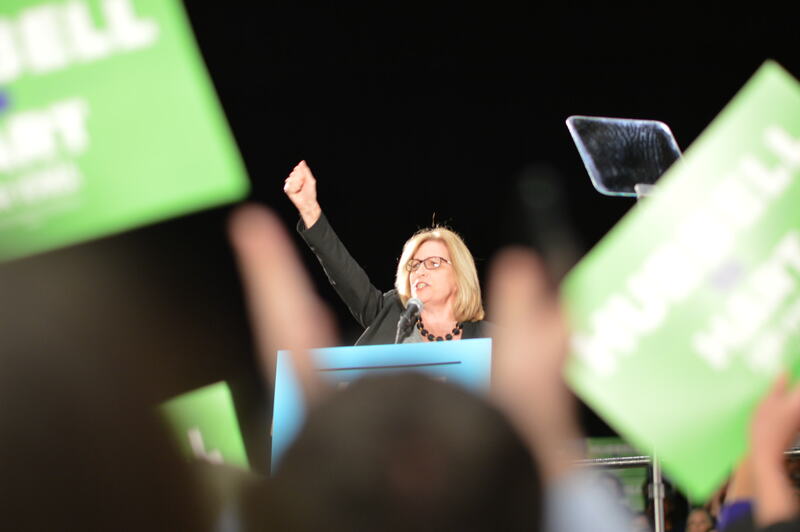 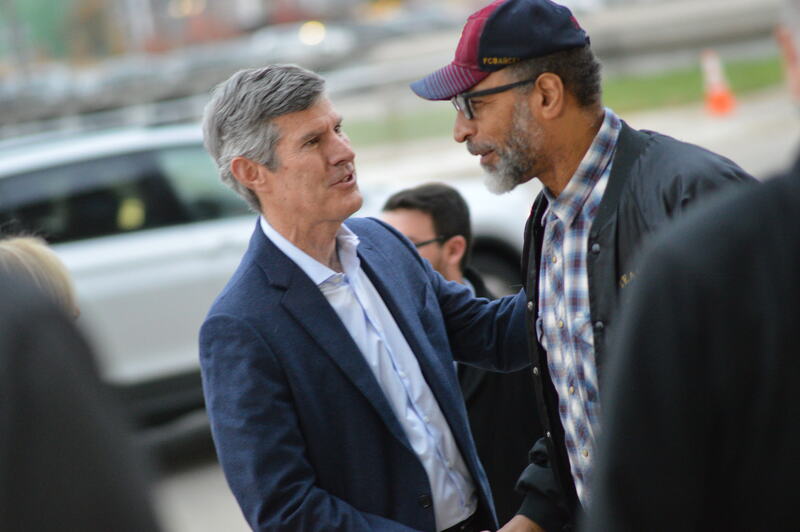 Hubbell noted that he asked Iowa Governor Kim Reynolds to remove Rep. Steve King as campaign co-chair, to cheers from the crowd. 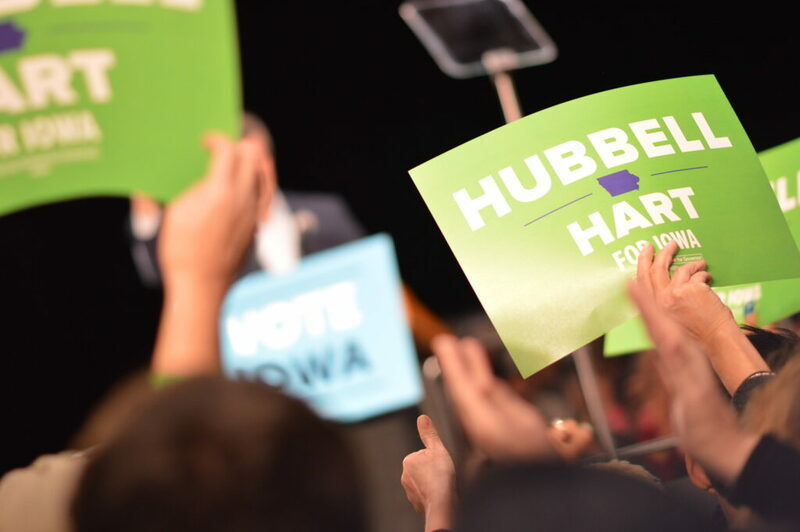 “His reprehensible actions don’t represent Iowa values,” he said of the congressman’s incendiary remarks about immigration.